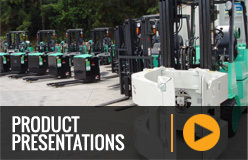 MLA has a comprehensive range of new and used forklifts for sale. Whether you're looking for Mitsubishi battery electric models or Vulcan heavy container handlers, we have a number of forklifts to suit your material handling requirements. All forklift sales include warranty on workmanship and parts from the manufacturer, and can be extended with our Diamond Care program. With over 30 years of experience in new and used material handling equipment, MLA can match your application with the right piece of machinery. From one tonne forklifts to 45 tonne container handlers, MLA can supply forklifts for any industry requirement. MLA can also provide you with a wide variety of pre-owned equipment. All used forklifts are reconditioned to brand specifications and may include warranties on major components. Because we are Australia's exclusive supplier of Mitsubishi and Vulcan forklifts, you are assured of the highest quality workmanship and an accurate representation of equipment condition. Exchange your old equipment for new forklifts with MLA's trade-in service. Our forklift sales representatives can evaluate your forklifts and provide you with written appraisal for a range of equipment. Speak with MLA for more information on trade-in options. 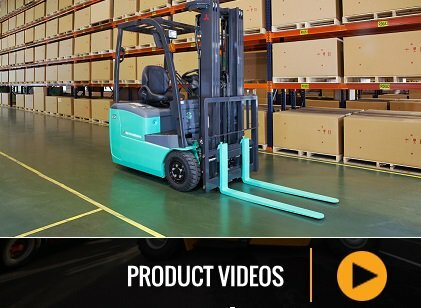 MLA recognises that every business is different, which is why we provide individual material handling solutions. Before committing to the purchase of a machine, our team can give you the right advice to ensure you receive the best equipment and payment plan for your business.